Toronto is the largest city in Canada and is regarded as the cultural, entertainment and financial capital of the country. A wide variety of exciting museums, galleries, shopping, restaurants and bars are ready to enjoy, but these are four things you should not miss out on as a student in Toronto! 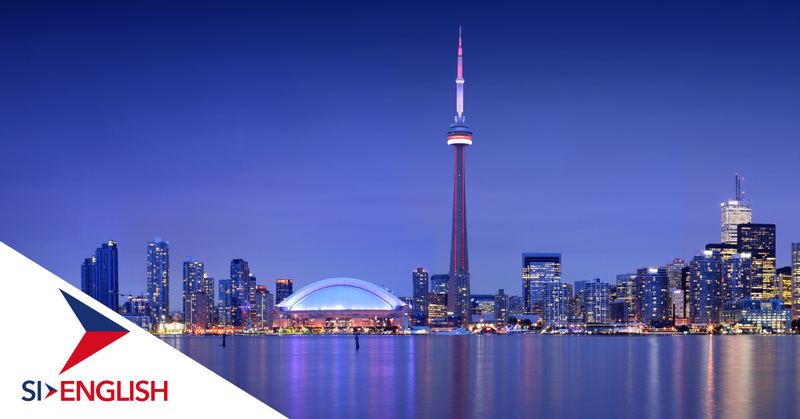 If you are interested in studying English in Toronto, get in touch with SI-English today. Our 100% Free Service will guarantee you an offer letter from a school within 24 hours of your application being submitted and our international team are happy to help with all enquiries about studying English in Canada. Did you know that Niagara Falls is made up of three waterfalls, the American Falls, the Bridal Veil Falls and the Horseshoe Falls, and combined they produce the highest flow rate of any waterfall on earth? Do not miss out on one of the most memorable wonders of the world and you can easily visit Niagara Falls from Toronto as a day trip, or stay longer and explore the larger Niagara Region. The Toronto Islands are a group of 15 interconnected islands located on Lake Ontario, a short ferry trip from the main city. The scenic walk can easily be enjoyed from one side to the other, with a wide range of activities, such as biking, canoeing and kayaking, allavailable once you are there. The CN Tower held the record for world’s tallest freestanding structure for 32 years until it was usurped by a building in Dubai in 2007, but this incredible sight can still amaze as it dominates the Toronto skyline. There are a number of restaurants and bars to enjoy while you are there and, if you are feeling brave, why not try the EdgeWalk, the highest outdoor walk in the world at 356 metres? Toronto locals love their sport, and the city is home to a huge number of professional teams. The Blue Jays (baseball), Raptors (basketball), Maple Leafs (ice hockey) and Toronto FC (soccer) all offer affordable ticketing to local students. If you are interested in studying English in Canada, apply with SI-English today. We can help you apply and guarantee you an offer letter from a school within 24 hours. Learn more about English Schools in Canada.